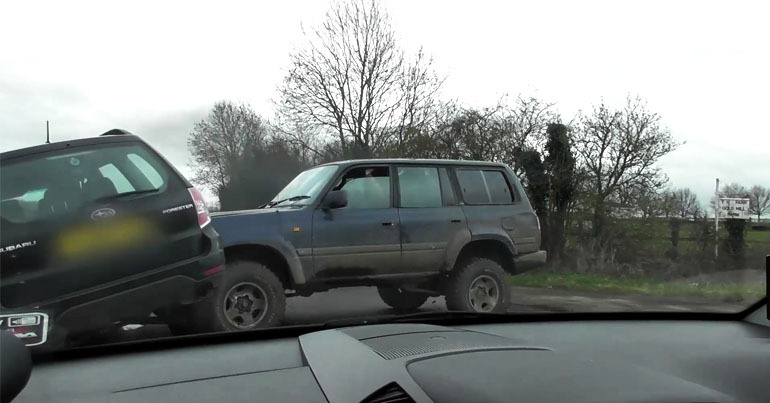 Anti-hunting groups have published footage of a 4×4 ramming two cars on the side of a road. And they claim the “premeditated” attack is a sign of escalating violence. Sheffield Hunt Saboteurs and Manchester Hunt Saboteurs published footage of the incident that occurred on 16 March. It shows a dark blue Toyota Land Cruiser following cars owned by the groups throughout the day. And the video culminates in someone wearing a balaclava driving the Toyota into the side of two cars parked on the side of the road. The video shows a car passing in front of the Toyota moments before it attacks the sab vehicles. premeditated as the Land Cruiser had no front number plate and a rear number plate that was intentionally smeared with something to make it unreadable. On Saturday 16th March 2019 – Manchester Hunt Sabs , Sheffield Hunt Saboteurs, Liverpool Hunt Sabs, and West Yorkshire Hunt Saboteurs decided to visit the Grove & Rufford Hunt who were meeting at Gold Hill Farm, Edingley, Newark.Earlier in the week this hunt had been violent towards sabs, and their supporters had attacked Lincoln Hunt Saboteurs & West Yorkshire Hunt Saboteurs vehicles (see their pages for report)The plan for the day was for groups to position themselves in areas the hunt were likely to go, with Sheffield and Manchester keeping an eye on the meet to broadcast which direction they were heading.Manchester and Sheffield Sabs arrived near Gold Hill Farm at 11am and parked up at either end of Lower Kirklington Road to wait for the hunt. A few minutes later a support vehicle came driving past the Manchester vehicle slowly whilst the passengers filmed us. This vehicle then headed back into the farm. As can be seen in the footage a dark blue Toyota Land Cruiser with no license plates then left the farm and drove down the road towards us. As it pulled up alongside us we could see that the occupants of the vehicle were looking for trouble so we decided to move on, as we attempted to pull away they reversed alongside us whilst trying to force us off the road. We managed to get away from them and drove further down the road to meet up with the Sheffield Vehicle. The Toyota Land Cruiser followed, and as we are well aware of this hunts reputation for vehicle damage we decided it was best that we kept moving and not give them the chance to block us in.A game of cat and mouse ensued where they tried multiple times to block our path. We eventually lost them and returned to meet up with the other groups of sabs.Whilst this was going on Sheffield Sabs had called the police to report the aggressive Toyota. Police attended and seemed to take an interest in finding the aggressive vehicle, they took our details and descriptions of the vehicle and set off looking for them.For all we know they're still out looking now as we never saw these officers again.With the aggressive vehicle seemingly gone we turned our attention back towards the hunt, sticking together for safety both Manchester Sabs and Sheffield Sabs drove back to Gold Hill Farm and deployed our footsabs on to a Public Footpath to look for them.This is where things escalated very quickly. A PCSO arrived, took photos of our vehicles and then set off after the foot sabs to tell them they were trespassing (on a public footpath??) Moments after the PCSO drove up the farm track, our pals in the Toyota Land Cruiser returned, they quickly backed into the farm, waited for a gap in traffic and violently rammed the Sheffield Hunt Saboteurs vehicle so hard they almost tipped it over. They reversed for what we thought was going to be a second go but instead turned towards us and rammed the front driver side of the Manchester vehicle.Damage done, they then fled the scene and the Toyota was not seen again for the rest of the day.The Sheffield vehicle sped up the farm track to alert the PCSO to what had happened, she was in no rush to come to our assistance and instead wasted further time with the foot sabs on the footpath.The Police were called for a second time that day, but this time the Officer that arrived and his two PCSO’s were only interested in handing out a Section 69 dispersal order and lecturing sabs on how intimidating they look to members of the public. We tried pointing out that these “members of the public” did not appear to be that intimidated when they were illegally driving an unlicensed 4×4 and using it as a weapon but this fell on deaf ears.Whilst other groups, including Sheffield managed to get back to the main job of sabotaging the hunt, we were unfortunately stranded at the farm due to the extensive damage our vehicle suffered. Nottingham Police stayed with us until our vehicle was recovered, not for our protection as we originally asked, but to ensure that we did not trespass and breach the dispersal order.I have to say that we are pretty disappointed with the way Nottingham Police have dealt with this matter so far, but we are willing to see what actions (if any) will be taken from this point onwards. The reason we face violence week in week out is that the hunting act remains un-enforced. 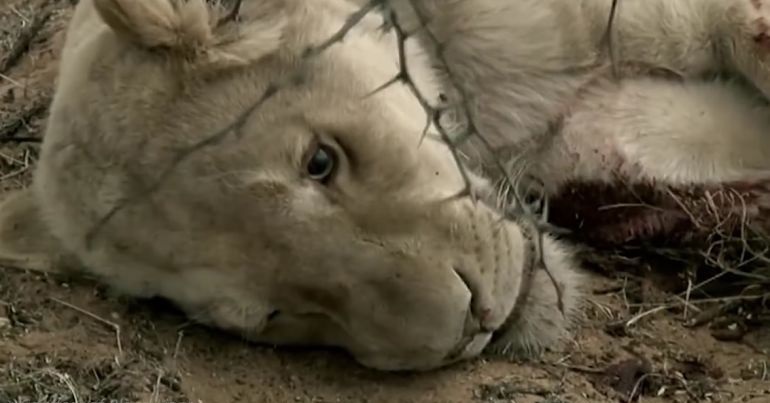 Other countless violent actions committed by hunts and their associates go unpunished by the criminal justice system. This gives hunts across the country the confidence to act as if they're above the law.To the CPS and police; how many activists need to be severely injured or killed before you take hunt violence seriously?This has unfortunately left us without a vehicle for the time being. If you would like to help us stay in the field stopping hunts then please consider donating:Manchester: https://gogetfunding.com/repairs-and-replacement-to-vehicle/Sheffield: https://ko-fi.com/A772AR5Big thanks to the other Sab groups for their support on the day, and to Nottingham Hunt Saboteurs and Lincoln Hunt Saboteurs for arriving later in the day to boost the numbers of sabs following the Hunt. In its report, Manchester Hunt Saboteurs said Nottinghamshire Police were in the area at the time of the incident. But the group claimed police only acted to disperse sabs. As a result, Manchester Hunt Saboteurs said it was “pretty disappointed with the way Nottingham Police have dealt with this matter so far”. Sabs linked the Grove and Rufford Hunt to two attacks in less than a week. On 12 March, Lincoln Hunt Saboteurs claimed attackers “rammed twice” their vehicle while following the Grove and Rufford Hunt. The post also said West Yorkshire Hunt Saboteurs’ vehicle was left with a broken windscreen and wing mirror. Meanwhile, the same hunt was again linked to threatening behaviour on 19 January. West Yorkshire Hunt Saboteurs published a video that showed a man they claimed was a “hunt thug” making threats while attempting to enter the group’s vehicle. Hunt saboteurs and monitors claim they face increasing violence. Manchester Hunt Saboteurs said that the lack of punishment by the courts gives hunts and their supporters “confidence”. There have been several such high profile cases in recent years. 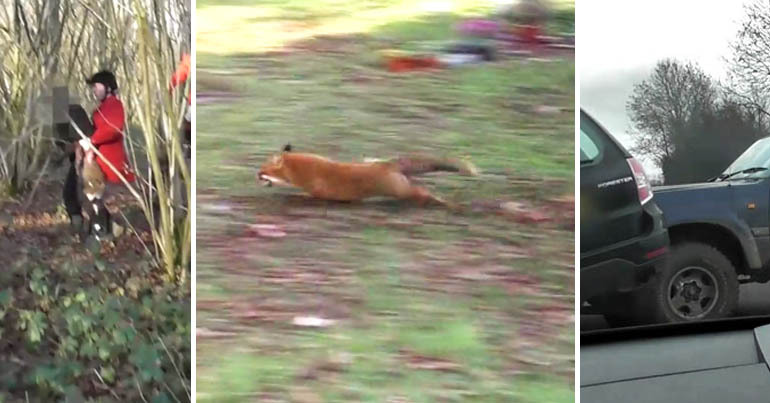 Members of the Middleton Hunt escaped penalty after a trial collapsed in February. The case concerned an incident in March 2017 when hunt staff repeatedly attacked sabs from Sheffield and West Yorkshire. And in September 2016, Blackmore and Sparksford Vale Hunt huntsman Mark Doggrell was cleared of grievous bodily harm. Video from the incident appeared to show him riding down a sab with his horse. These are just two incidents of many more that never make the press. As public opinion and action against hunting grows, it seems the activity’s supporters are lashing out more and more violently. The police and legal system must take this seriously. The evidence is clear; the ‘anonymous’ dark blue Toyota Land Cruiser deliberately rammed the sabs’ car, in full knowledge that people were inside, peacefully monitoring and recording the hunt’s activities. If this hunt was merely following a trail, why were they so desperate not to be filmed? 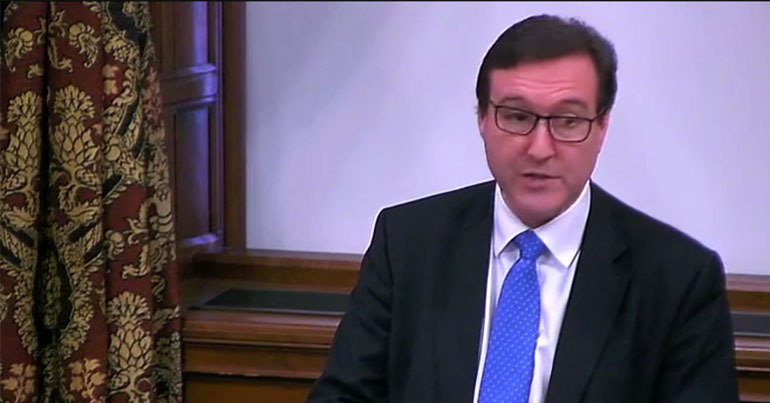 The Grove and Rufford Hunt must be prosecuted and the ‘anonymous’ Toyota Land Cruiser thoroughly examined for DNA. Driving with obscured number plates is a criminal offence.